Make your Mother’s Day memorable with a stunning handmade card. Give her a card made from the heart that is as stylish and classy as she is. 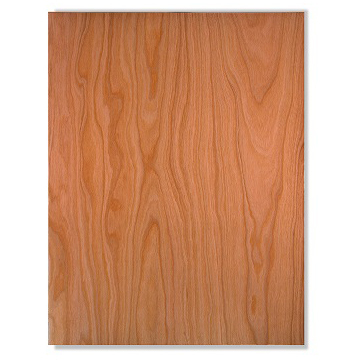 We created this handmade card using our Real Cherry Wood paper as a canvas. 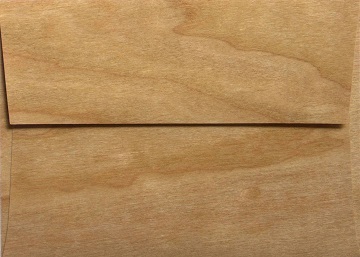 Real Wood paper makes a beautiful base for any project. Are you familiar with Heartfelt Creations? 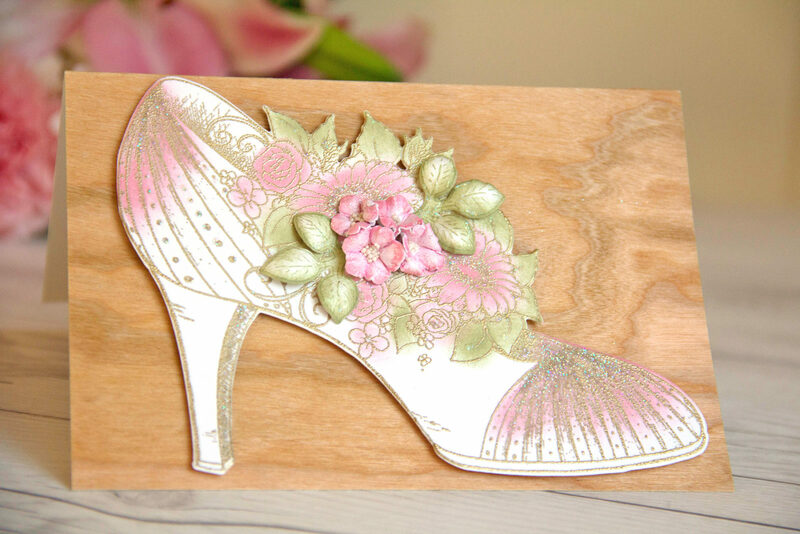 We love how elegant and elaborate the stamps that Heartfelt Creations produce. They are truly gorgeous products. 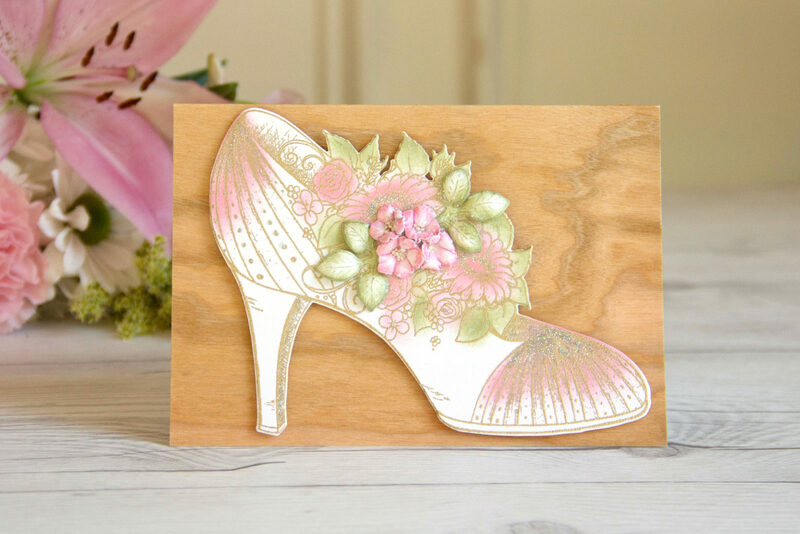 We used the All Glammed Up Shoe stamp to create the primary image for our card. 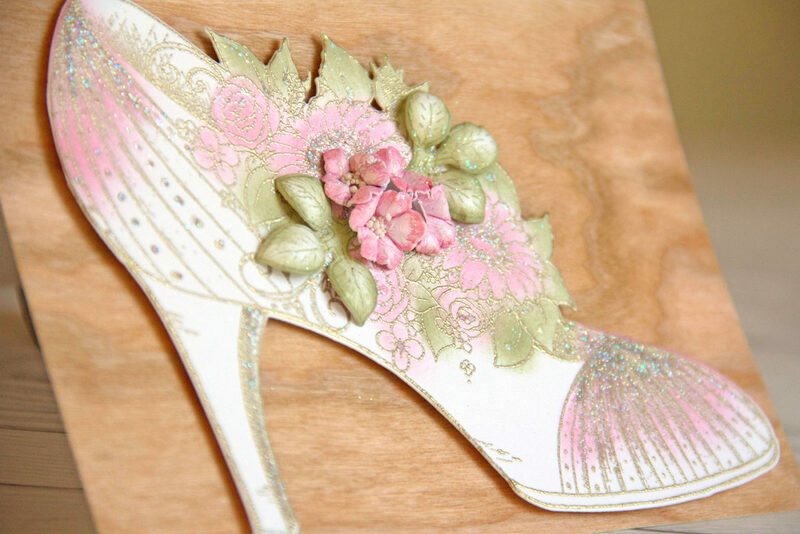 The shoe image has been stamped and embossed with gold embossing powder. We colored and then embellished with handmade paper flowers, glitter and Prills. Heartfelt Creations often offers classes at craft shows across the country on how to use their products, offering great cardmaking tips and inspiration. Take a minute to check them out if you are not familiar. Please note that we are not affiliated with Heartfelt Creations but love their products and wanted to share this beautiful card. Enjoy and happy paper crafting. This entry was posted in Card Making, DIY Projects, Stationery & Envelopes and tagged Cherry Wood paper, Heartfelt Creations, Mother's Day, Mother's Day Card, real wood paper.